Just send us some good clear images of your damaged vehicle via the quotation form and we shall provide you with a fixed price quotation to fix your damaged car body paint, plastic bumper, vehicle bodywork or alloy wheels at your home or business premises in Cressing CM7 on a same day repair basis. 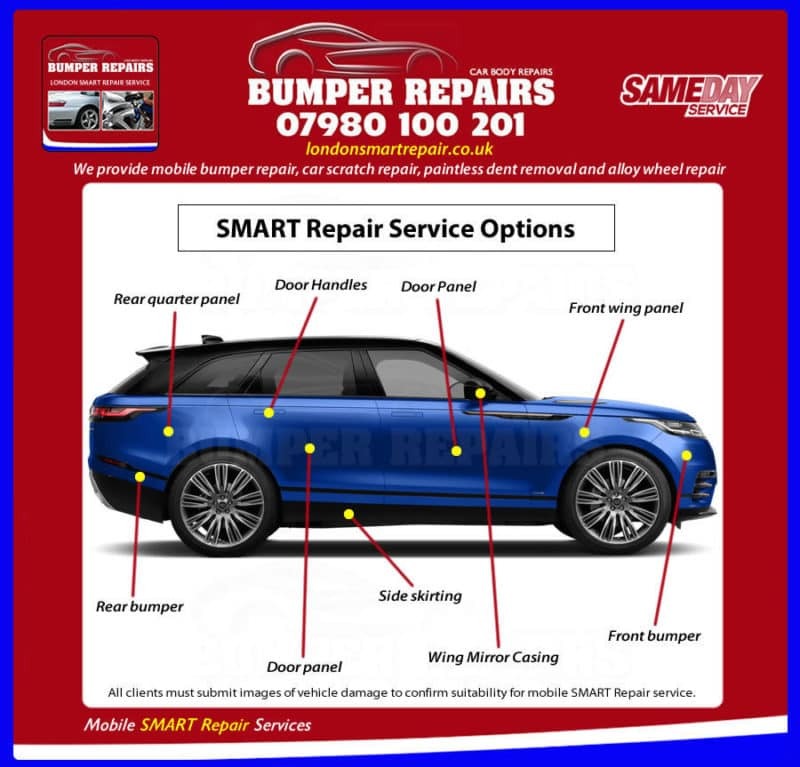 Our mobile car scratch, bodywork dent and bumper scuff repair service in Essex removes the hassle associated with taking your damaged vehicle to a car body shop and leaving it somewhere for an extended period of time – costing you time and money. We provide a mobile car body repairs service in Essex, which is available to repair plastic bumper, bodywork, car paint and alloy wheels at your home or business premises on a same day repair basis. Existing manufacturer paintwork is matched using a water based paint system and as we are fully mobile you dont have to bring your vehicle to a third party location as we come to you ! We can repair most types of vehicle damage from plastic bumper scuffs, malicious key scratch damage, car body dents, car paint stone chip damage and minor collision damage. Once the vehicle repairs have been completed, we then paint refinish the vehicle using industry standard water based paint systems to manufacturer paint specification. We can repair split and scuffed plastic bumpers. Splits in bumpers can be repaired using plastic welding equipment to ensure your cracked bumper retains its strength after repair. 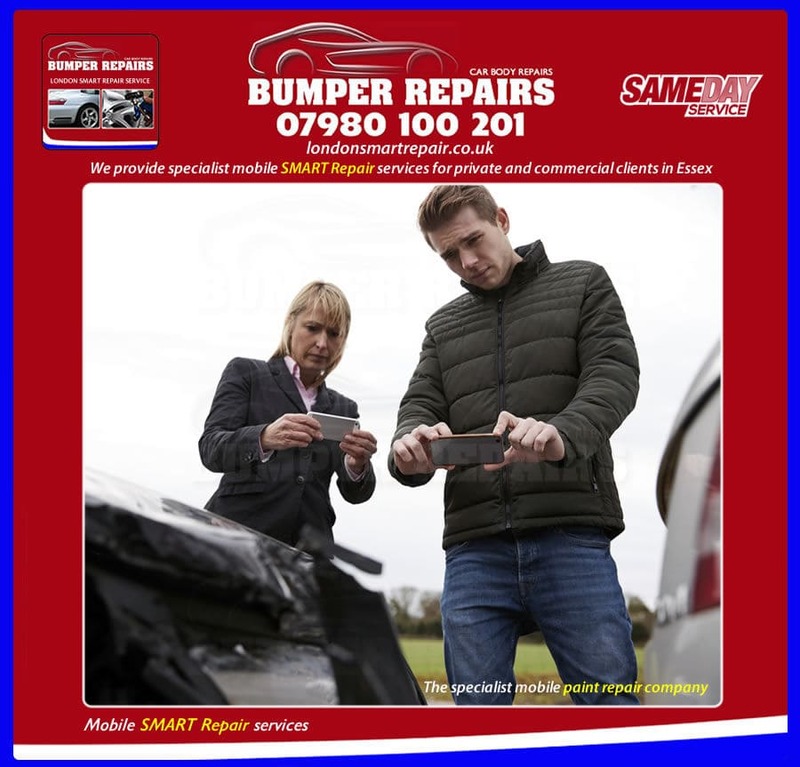 Our mobile plastic bumper repair in Essex is a fast, cost effective alternative to purchasing a brand new replacement bumper and having to pay for it to be painted and fitted onto your vehicle. We can repair larger dents sustained to vehicle bodywork from parking or driving collisions such as bollards, garage walls and gate posts. PDR is not a suitable as the paint surface has been broken. We repair damaged bumper, door, wing and tailgate bodywork using specialist tools and years of expertise and then paint refinish using water based paint systems to manufacturer paint specification. We can repair malicious key scratches and parking collision scuffs that have been sustained to your vehicle paintwork which can make your vehicle look unsightly. Damaged paintwork is repaired and industry standard water based paint systems are used which allow us to paint refinish the vehicle to manufacturer paint specification. We can repair a wide range of minor dent damage sustained to aluminum and steel car bodywork panels using PDR, when a no paint repair solution is required and the paint surface is intact. The dent man will use a variety of tools, methods and years of expertise to professionally remove the dent from your vehicle bodywork without the need to paint the vehicle. We can repair scratches and parking scuffs that have been sustained to your painted alloys wheels at your home or business premises in Essex. Damaged alloys wheels are removed from the vehicle and repaired and industry standard water based paint systems are used which allow us to paint refinish the wheels to manufacturer paint specification. Our SMART Repair service in Cressing CM7 is suitable to repair damage sustained to Alfa Romeo, Aston Martin, Audi, Bentley, BMW, Chevrolet, Citroen, Ferrari, Fiat, Ford, Honda, Jaguar, Jeep, Lamborghini, Land Rover, Lexus, Lotus, Maserati, Mazda, Mercedes Benz, Mini Cooper, Mitsubishi, Nissan, Peugeot, Porsche, Renault, Rolls Royce, SAAB, SEAT, Skoda, Subaru, Suzuki, Toyota, Vauxhall, Volkswagen and Volvo. Our mobile car body shop service in Cressing CM7 utilises light goods vehicles equipped with high quality tooling which allow us to expertly repair your damage and then paint refinish using industry standard, water based paint systems to manufacturer paint specification. Nowadays motorists have more than one option available when trying to source a professional accident repair solution and we constantly strive to ensure we provide the best quality mobile car body repairs service that will leave clients delighted with the standard of work on their vehicle. 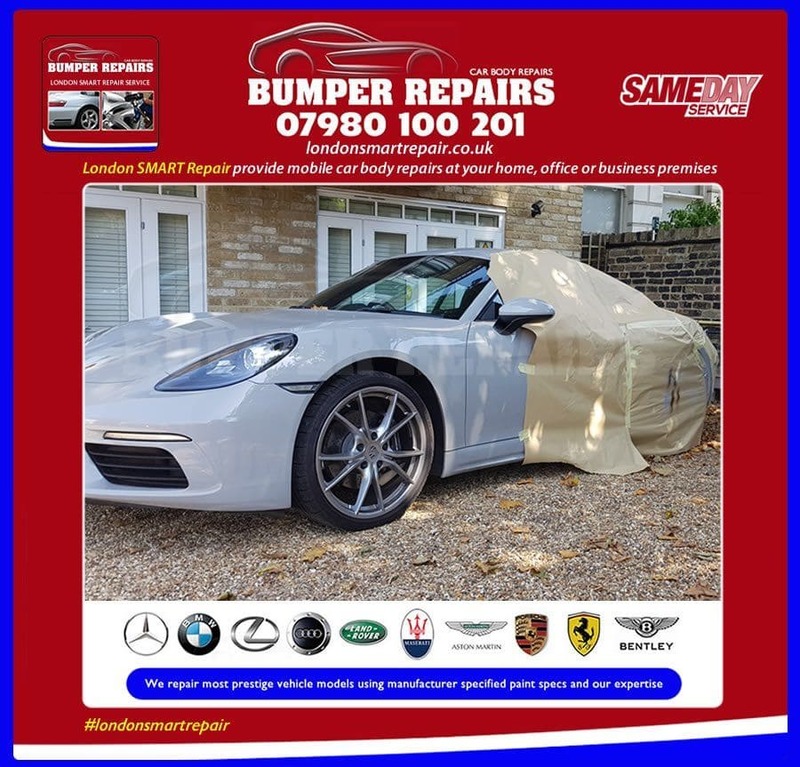 We strive to ensure we provide a high quality mobile car body repair service, which provides clients with the convenience of not having to take their vehicle to a remote third party location and having the damaged vehicle repaired at your home, office or business premises in Cressing CM7 at a time that suits client schedule ! We have a real passion to provide private, commercial and trade clients in Cressing CM7 with a mobile SMART Repair service that is easy to use and completely takes the hassle out of getting a damaged vehicle repaired quickly and at a time and place that suits your schedule. 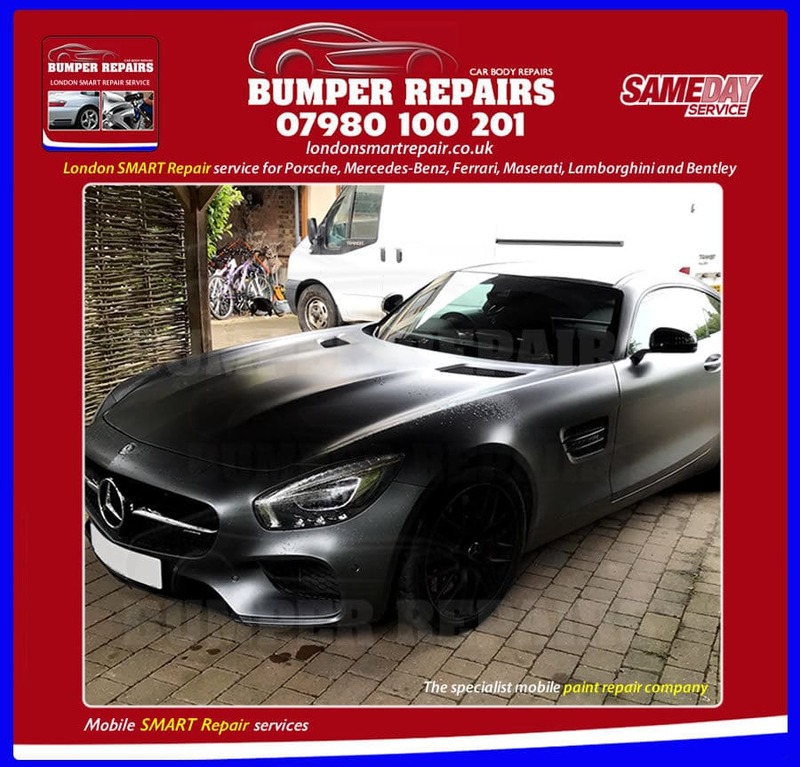 Its never been easier to obtain mobile car body repairs in Cressing CM7 – simply send us some clear images of your vehicle damage and we shall provide you with a fast, FREE, no obligation, fixed priced quote by return.